The river people are holding a jumble sale this Saturday, 29th April, 10:00am till 2:00pm, to raise money to fund the work they're doing to improve the River Cale. 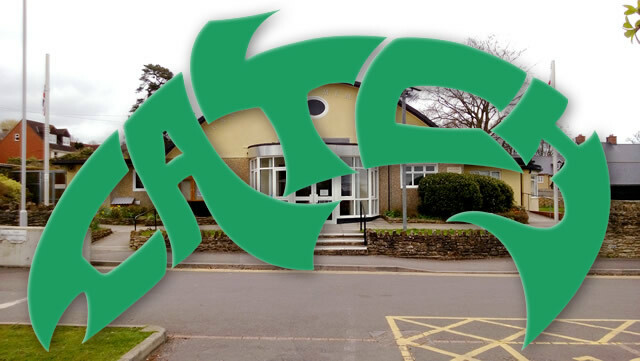 Their previous sales have been so successful that for the second year running it'll be held in Wincanton Memorial Hall, the only venue with enough room for all the stuff and things. It also has plenty of free parking and a bus stop on its doorstep. There'll be men's, women's, teens' and children's clothes for sale (piles of women's clothes! ), including a few fancy dress items, bags, shoes and hats, as well as household linen. There'll be children's toys from tiny items up to complete games, soft toys, and jigsaws for all ages. Bric-a-brac including glass, china, household items, kitchen items, ornaments and nick-nacks, and some small items of furniture. There'll also be hundreds of books for adults, teens and children on every subject imaginable, as well as CDs and DVDs. The café will be open for hot and cold drinks and home-made cakes, so if you plan to make a day of it there'll be plenty of sustenance available. Last year there was a queue at the door before opening and the hall was buzzing with people of all ages. It's probably a good idea to get in early so you don't miss all the best items!